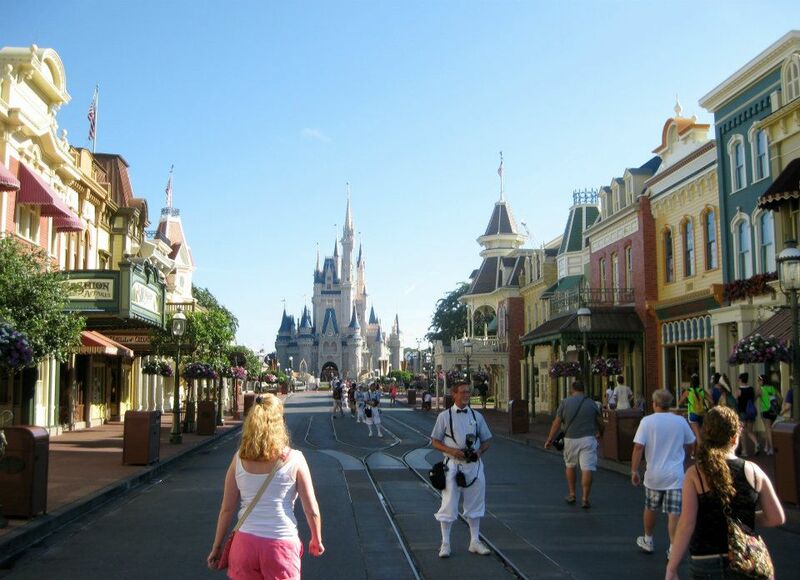 When I was a kid, walking down Main Street USA in the middle of Walt Disney World’s Magic Kingdom used to overwhelm me with such giddiness, to the point where I developed an unsightly waddle and wanted to laugh, cry, and vomit simultaneously. I’d like to say I’ve grown out of that, but for the generation who grew up with beloved Disney animation, I don’t think that feeling ever quite goes away. 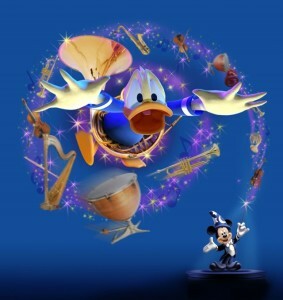 When the park unveiled their latest technologically-advanced attraction in October of 2003, it was the first of its kind (before Soarin’ came to Epcot in 2005) to boast an immersive 4D experience. 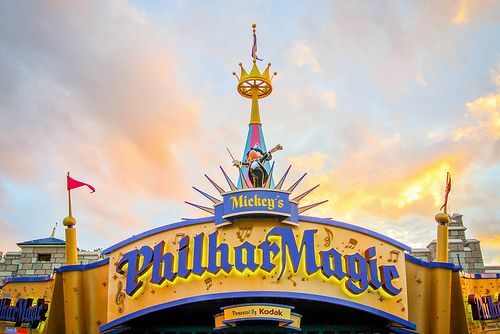 Mickey’s Philharmagic is a 12-minute theater show that starts with maestro Mickey intending to direct a grand orchestra (hence the wordplay). But Donald, ever the troublemaker, steals the magic hat and accidentally plunges himself into the vibrant and enchanting world of Walt’s classic films. The first time I saw it, I cried. That’s not me trying to be hyperbolic and funny, a tear or two legitimately rolled down my cheeks because it was pure Disney brilliance and magic imagined and realized. How many of us Disney kids fell in love with those movies and wished we could dive right into them and join our childhood friends on their amazing adventures? And they made it so real: 4D technology combines 3D images (projected onto a 150 foot-wide screen, in this case), plus effects that play with your other senses, momentarily helping you to forget that you’re simply sitting in a cushy chair somewhere in Orlando—a whiff of pie during the Beauty and the Beast sequence, a splash of water during The Little Mermaid, not to mention the songs we know every word to in booming surround sound. The creschendo of “Part of Your World” is probably when the chills started, but I was transfixed and grinning like an idiot all the way through The Lion King, Peter Pan, and Aladdin.